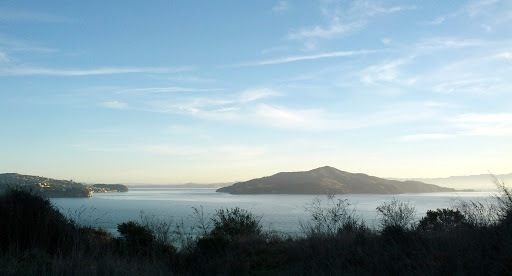 Woke up early on Sunday – well, early by Pacific Standard Time – and headed up the hill for a walk; I needed some time alone to consider what I’d just done. Sun was just coming over the ridge above Cavallo Point, and it was one of those gorgeous November days that we have absolutely no right to. 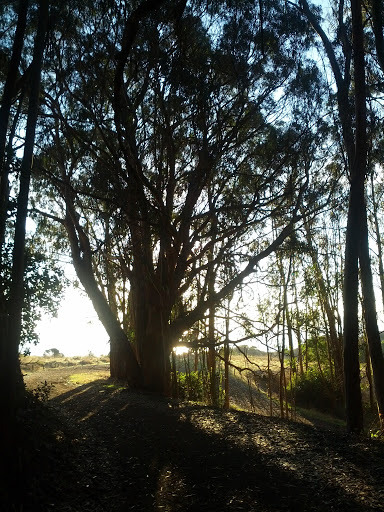 Fresh morning air filled with nothing but songbirds, and a path to myself, twisting through the eucalyptus. A week ago, I’d made it to my 10-year anniversary at Google. Never would have imagined that, not even a few months ago. But there it was. And even as that milestone loomed, change was brewing. I’ve been an engineer pretty much all my life. Scientist, yeah – but how I earned my bread was actually writing code. We get to call ourselves engineers when we do that: software engineers. We design a system – we engineer it – and then we build it and pound at it with a keyboard until it does what we intended. Then, some time ago, I realized something: I no longer loved the code. The puzzles, the challenge of wrapping loops around conditionals with just the right data structure to get the machine to dance for me and spit out the right answer (or web page, more often)? Didn’t do anything for me anymore. So why was I still doing it? It was the team – I loved the team. They’re a great team and more fun to get into trouble with than almost anyone I’ve ever worked with. Getting harassed on the backstreets of a market in Northern Ghana? Stuck in a cab in Accra, trying to reboot a recalcitrant server half the world away via a juryrigged connection from my laptop? Trying not to blink in the airport staredown when the gate agent tells us they’re not going to let us on last flight out of Africa tonight? Give me that team – Greg, Paul, Pete, Jenny, Everett, Maria-Ines and Nithya. Give me that team and I’ll go anywhere. Love is what makes things like this work. But… but.. but.. here I was, 10 years at the company, looking at 50 on the planet in just a few months. I’m fine as an engineer, pretty good, actually. But not great. There’s nothing that team can do that they can’t also do without me. And there’s so much more I want to do, so much more beyond being an engineer, writing code. And time? Time’s passing; I’m getting older. Then something came up, really out of the blue – aw hell, I’m not going to try to make a narrative out of it. I should know better. Short story is that I’ve taken another job inside the company. One last trip with the team (Ghana again, leaving in two days – yes, damned straight I’ll be writing about it!) and then, on December 1st, I’m no longer an engineer. I’m… well, we haven’t quite figured out what I’ll be, since they don’t really have a good description yet. I’ll be helping the Charitable Giving team work out their technology strategy. It’s a good fit: being all those years of being a technological dilettante will finally be of use. I’ll be doing deep dives on the technology side of the grants we’re making, advising the principals, and acting as a liaison for all the engineering teams we need to reach out to inside the company. Talk shop with people, make connections. It’s a damned good fit. But still, it’s not engineering. On this walk? Well, I’d gotten the offer just the afternoon before, and said “yes” immediately. We’d already worked out the terms, so there wasn’t anything else to do. But what it felt like – that was complex, bittersweet. Like the left fielder, coming in after the last inning, knowing this was it, the last game, when he hung up his glove. Sure, he’d still come to the games – he’d still be “in baseball” – but this was it, the end of the last game as a player. And this walk felt like that walk. Tomorrow I’d be telling my team – folks I’d argued with, explored with, did remarkably stupid things with, and loved. I’d be telling them I was leaving. You tell yourself it’s the right thing enough times, and the words wear thin – you begin to doubt it. Begin to think maybe you have one more season in you, begin to miss the good times a bit too much, and forget the bad. Because there are both, intertwined in everything, and when you look over your shoulder that trick of the light always makes the good shine brighter. So I turn and look ahead. The path ahead is clear as this November day. My new teammates – Chris, Lacy, Jacqueline and Paul – are remarkable. Smart, dedicated and hardworking, of course (everyone here in dotorg is), but beyond that, I’m already beginning to glimpse them as people, and as friends. Funny, interesting, compassionate. The incidental phrase dropped in conversation (“…so when I was seven and we were on our way back to Saudi Arabia from Arkansas…”, or “…and as a student of Alinsky, of course I…”) opens a window to a conversation which in turn opens into an entirely new world. It’ll be a brave, beautiful new world out there, working with them. And we’ll have crazy stupid wonderful adventures together. A when time comes to leave – because we all leave, some time – it will make me morose and nostalgic. And then? I’ll probably find myself on one of these walks again. Congrats! It sounds perfect for you and you for it. Also, this is a very standard-issue Pablo freak-out, so I expect no actual trouble. Go get 'em! Also ads plus transparent background is too much. Pick one or figure out how to move ads to the side, please.